This week have learnt about how the government works, how they make up the rules for the country and how democracy works. 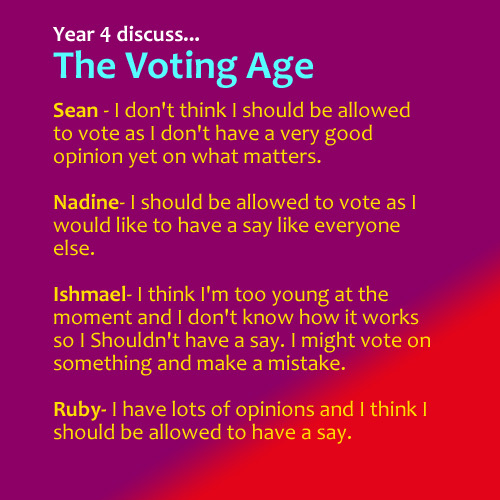 We had a debate about whether we thought it was fair that you are only allowed to vote when you reach the age of 18. In this lesson, we then looked at other laws that affect us. 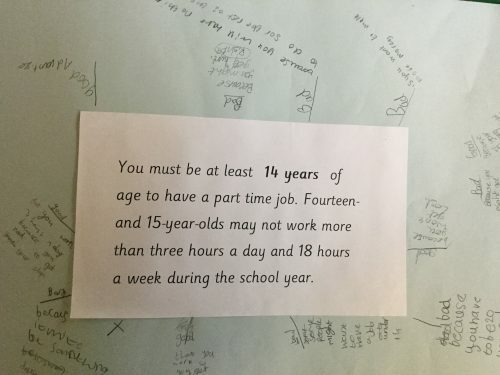 We discussed the positives and negatives of this law. 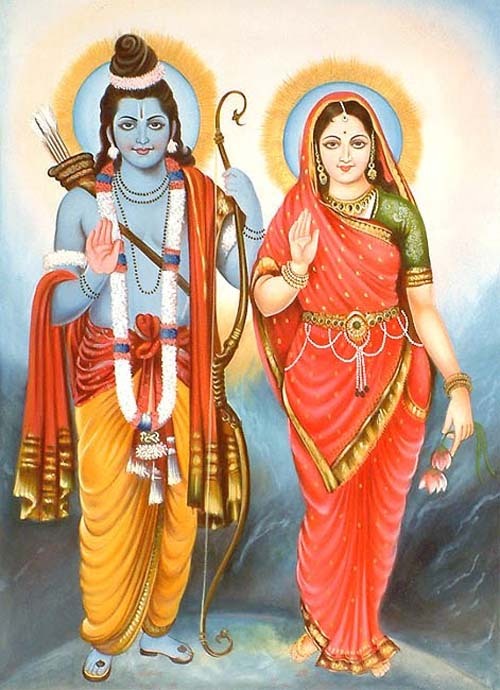 This week we looked at joy celebrated in religious festivals. As it is soon Diwali, we have looked at how this festival is celebrated and the meaning behind it. We have made a map of the story of Sita and Rama in order to learn it. This half term in PSHE, we have been discussing rules and laws. 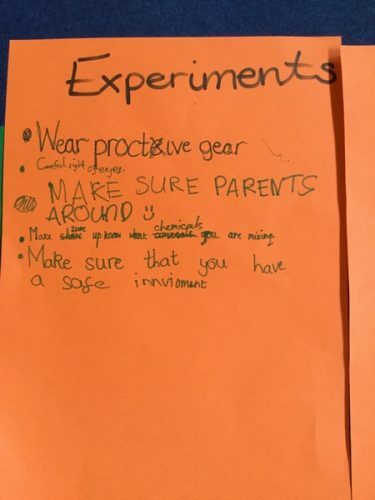 In our circle time today we came up with a list of rules for a range of different things in our daily lives. We discussed who makes up the rules such as; parents, friends, siblings, the government or even ourselves. 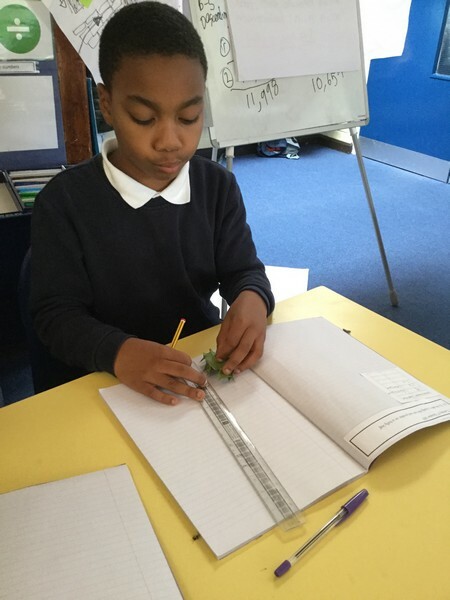 In science we have set up an investigation looking at respiration in the leaves. 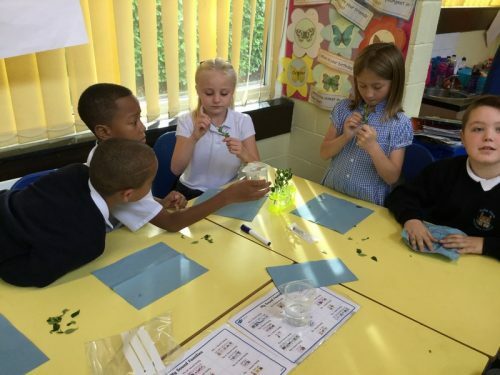 We have learnt that leaves produce water droplets when they respire. We are looking to see if covering the leaf’s surface will affect respiration. We have covered the leaf with a layer of Vaseline and will monitor how much water is lost over the course of the week. 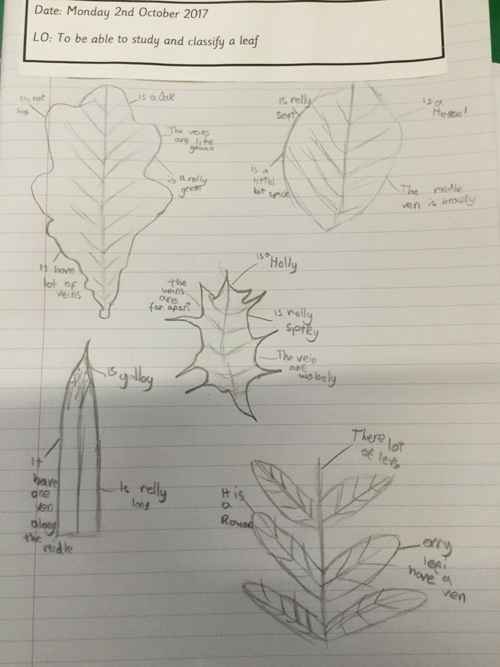 Today in science we studied a range of holly leaves and tried to come up with a rule. We realised that the longer the holly leaf the more prickles it has. 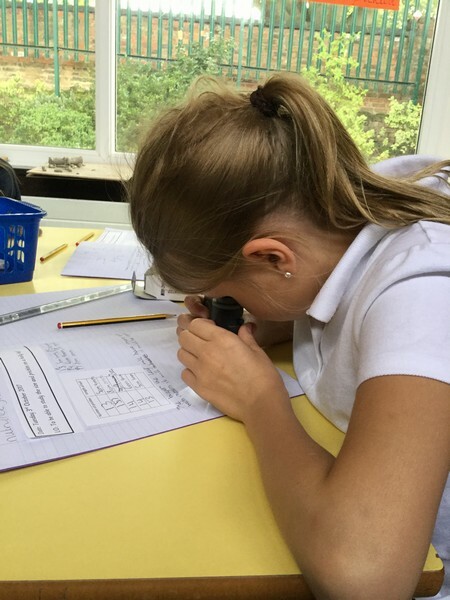 Year 4 Robins will be spending two weeks studying plants and photosynthesis in science. 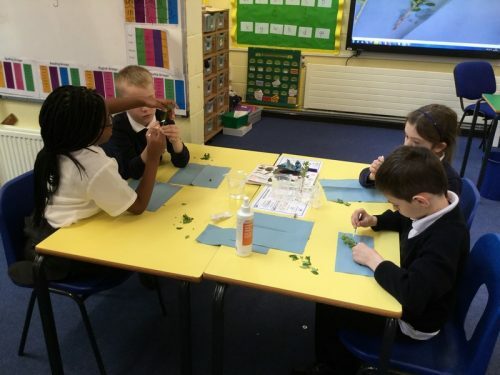 In today’s lesson we studied leaves by making careful observational drawings and looking at them under microscopes.